The Lloyd’s Register Fuel Oil Bunkering Analysis and Advisory Service (FOBAS) released an alert on 14 March, in which it warned all shipowners and operators regarding low flash point residual fuels at Singapore. Specifically, after FOBAS tested several samples from Singapore, which were ordered as ISO-F-RMG380 grade, it concluded that the tested flash points were below the 60°C SOLAS minimum limit, with the results varying between 55 and 58 °C. For this reason, it said that that these fuels could cause safety concerns. In such cases, FOBAS first recommends to follow best practice safety guidelines, in order to limit the risk because of low flash point fuel. Moreover, ships must contact their flag State, insurance underwriters and classification society right after to receive more advice. 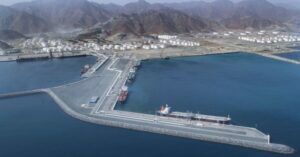 In addition, FOBAS suggests ships that will bunker at this port to communicate their concern to suppliers, regarding the flash point of the fuel. The vessels must also ensure that the providers supply them further reassurance that the fuels meet the ISO 8217 requirements for the grade ordered. Finally, consideration should be given to the collection of bunker samples as well. Namely, all parties must witness the sampling process and sign witness forms. What is more, the supporting documentation should include records of all the representative samples of the loaded fuel.